Stephen King’s film adaptations have often been famously hit and miss. Sometimes you get a classic like Carrie or The Shining, sometimes it’ll be an atrocity like Dreamcatcher or Cell. Pet Sematary (1989) is somewhere in the middle, being mostly forgotten about. This makes it a strange choice to re-adapt/remake, but given the success of IT (2017), King’s properties have now become far more popular in the mainstream horror field after being mostly relegated to low-budget cinema and TV. Sadly, this remake does little to raise its book into greatness. The Creed family move from Boston to the countryside. Father Louis (Jason Clarke) and daughter Ellie (Jete Laurence) each meet neighbour Jud Cradnell (John Lithgow), who is aware of a pet burial ground nearby. The family cat, Church, ends up dying and Louis and Jud bury it in the cemetery. It comes back the next day, only to become vicious and evil. This leads to a tragic event that tests both Louis and his wife Rachel’s (Amy Seimetz) beliefs in death and resurrections. The material for a compelling film is present in almost every frame, yet something has gone wrong in the final edit. The screenplay has a lot of interesting ideas about grief and death, but the story never bothers to focus on them enough to make them feel fleshed out. The reason why is because of the tight and rushed storytelling/editing. The film is so quick and breezy that it feels remarkably minor, with the underwhelming climax and abrupt ending only making it worse. You never get a true sense of character development or personality, also increased by how every subplot becomes incredibly ridiculous and amounts to nothing. Atmosphere and scares are also lacking, as aside from some minor creepy moments of build-up and a bit of brutal violence here and there, nothing is effective. The cinematography is dark and moody yet the filmmaking is remarkably pedestrian. The reason why is because the directing duo in charge take a “good enough” approach, being faithful to the original story but not doing anything creative or frightening with it. I thought about much better this film would have been if someone like Ari Aster or James Wan did it. Jason Clarke, Amy Seimetz and John Lithgow are all held back by the material. Clarke is very unconvincing as a normal father and he does not sell the grief that his character goes through, Seimetz has nothing to do other than cry and look scared and Lithgow is brilliantly cast yet has no sense of menace. The best performance is Jeté Laurence as Ellie, who is more engaging than you would expect for a child actress, and the various cats who play Church the cat also deserve credit for being genuinely creepy. 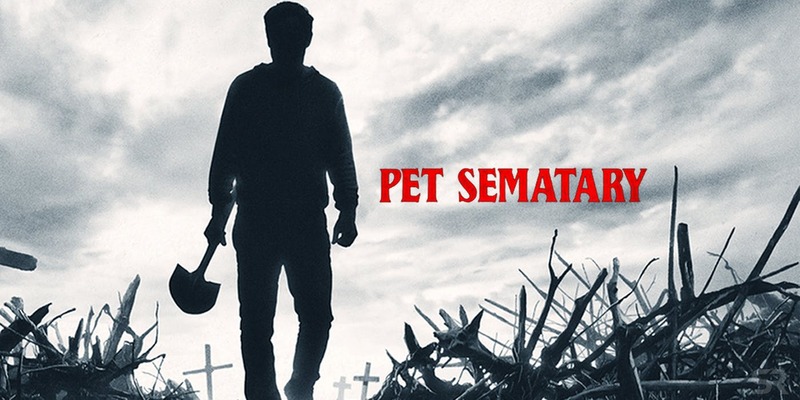 Pet Sematary (2019) is a disappointment and a waste of time and money. The mediocre approach to the story and the lack of horror renders this adaptation dead on arrival. It might serve as a good introduction to the original story but if you want a more complex King adaptation, watch Gerald’s Game or Misery. ← Language is growing through modern technology. Or is it in jeopardy?